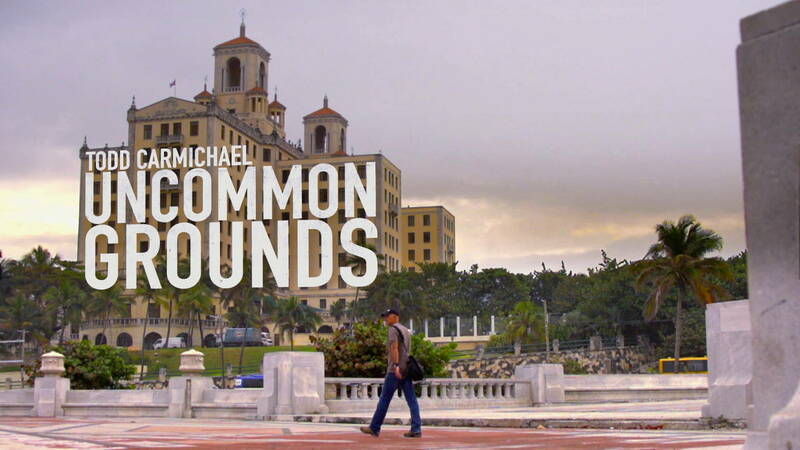 Uncommon Grounds with Todd Carmichael is blazing new trails on The Travel Channel. You already know Todd Carmichael, world-class adventurer, co-founder of La Colombe Coffee, and premiere coffee-sourcer who travels the world to find premium beans for A list clients, but in his new show, he brings a fresh perspective to world travel fueled by his pursuit to expand his coffee business, and find enlightenment and adventure wherever he can. Uncommon Grounds sends him and his cameraman, Hollywood, beyond the beans! In this new series, Todd does more than hunt for coffee. He travels to some of the world’s most exciting, exotic locations to give a never before seen look into all the unexpected places the coffee business has taken him, now 30 years into his career. Todd whizzes by all-inclusive resorts and tourist traps, and gets you off the grid. Whether he’s breaking Ramadan fast with a family in Morocco or scaling glaciers in Iceland, each episode offers a deeper understanding of the people, places, and things that make every location so unique. Uncommon Grounds lets you experience the world through the eyes of someone who can reveal the hidden thrills and secrets that you can’t read about in guide books.